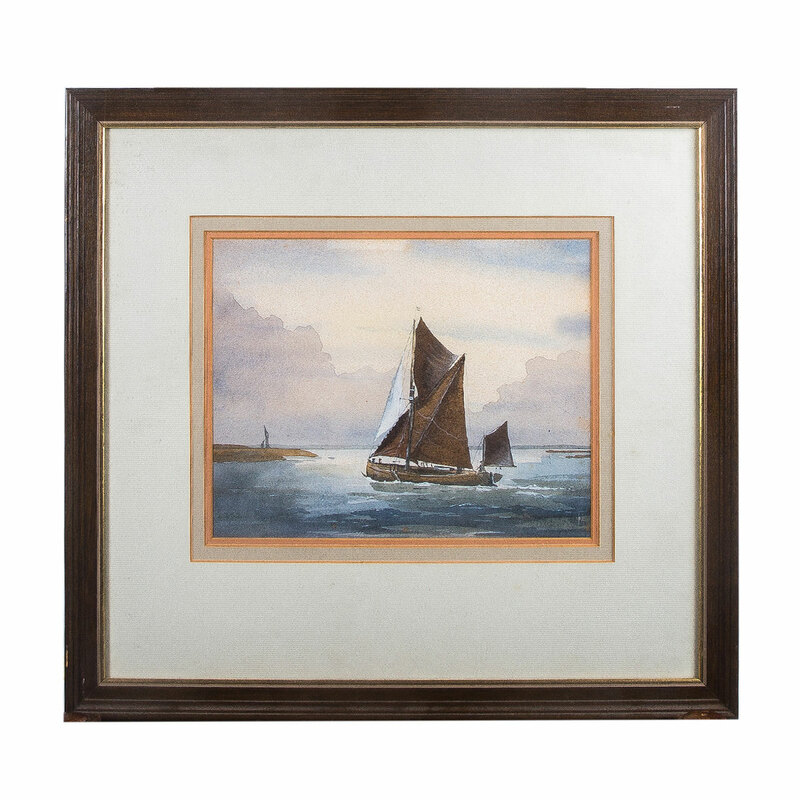 Antique Water Colour Painting of Boat by the Shore with lovely wooden antique frame. Shipping for this item can be arranged by request and at additional cost. Please contact us to obtain a quote.